Time until Trioncube release day! 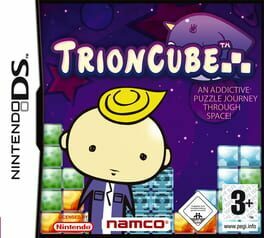 In Trioncube, the player must embark on a journey across eight planets into the depths of space, as the captain of the mighty space ship Penko, to rescue the princess from the grasp of Hell Metal. Players reach this goal by creating a Trioncube - a series of 3x3 blocks, which start a chain reaction that refuels the space ship.